Do you want to share the true gift of Easter with children in a way that is meaningful and something they’re sure to remember? 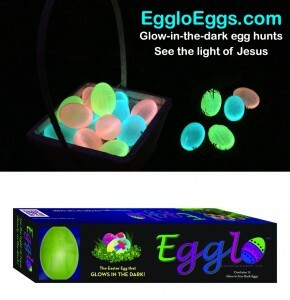 Glow-in-the-dark Easter egg hunts help children see the light of Jesus! 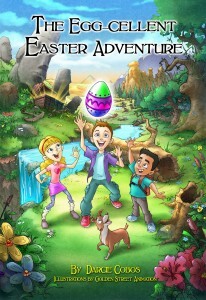 The Egg-cellent Easter Adventure Book is a soft cover book that includes 40 pages of a fully illustrated adventure following three children and their dog to exciting locations! Where will the glowing eggs take them next? Each egg reveals a clue to their next destination and a Bible verse needed for the journey! The Egglo Treasure Scripture Scrolls contain 12 Scripture Scrolls that are the perfect addition to any Easter egg hunt! 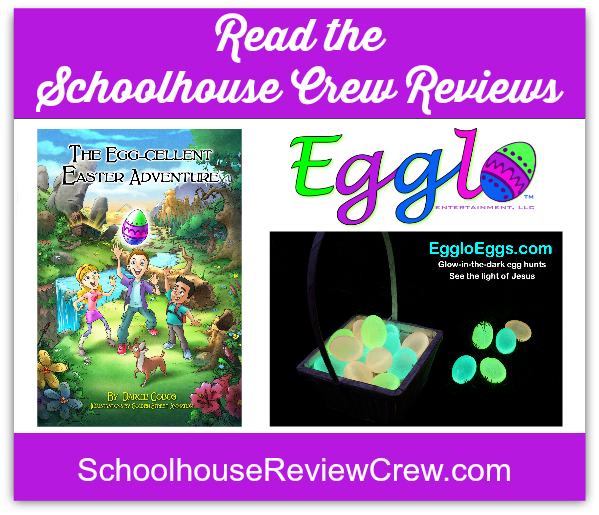 They are created specifically from the Egg-cellent Adventure book but can be used independently as well. The verses in the Scripture Scrolls help keep the focus on Jesus. The Egglo Bible Verse Stickers include 12 stickers that are individually cut out for easy placement in Easter eggs. The stickers also include the verses to complement the Egg-cellent Adventure book or can be used independently. The Egglo Glow in the Dark Egg Hunt Event Curriculum is a 60 page downloaded step-by-step guide containing how-to instructions, visual aides, activity ideas, snack ideas, decorations, coloring activity pages, Bible verse scroll and cross Easter egg cutouts to put in the eggs and more! Whether you are planning a small group event or just with your family, the Event Curriculum offers what you need to hold a memorable and meaningful event.